A Texas woman who took her car to her local Walmart’s service center for a routine oil change says a technician totaled the vehicle and now the company isn’t offering her a fair settlement, leaving her stranded and her business suffering. NBC 5 Dallas-Fort Worth Investigates took a look at the case this week after the woman claimed the company continues to give her the run-around nearly two weeks after the incident occurred. The ordeal began last month when the woman brought her SUV to Walmart’s service center for an oil change. A technician for the company totaled the car when he drove it into a wall to avoid hitting another person after the throttle reportedly became stuck. While the retailer’s insurance company offered to pay the woman $3,200 – the estimated value of her 1998 Ford Expedition – and cover costs for a rental car, the woman says the deal isn’t enough and the company has yet to cover rental fees, leaving her in a bind. The woman says the $3,200 won’t be enough to cover the cost of a new, dependable used SUV and it doesn’t account for the money her company has lost while she’s been without a vehicle. As a florist, the woman says she relies on her SUV to make 15 to 20 deliveries a day. Because there’s been confusion regarding the retailer’s promise to cover the cost of a rental vehicle during the two-week investigation into the accident, the woman has had to hire someone else to make deliveries, or borrow a vehicle from a friend. “I’ve had to turn away deliveries because I couldn’t go that far or send somebody that far to deliver,” she tells the station. 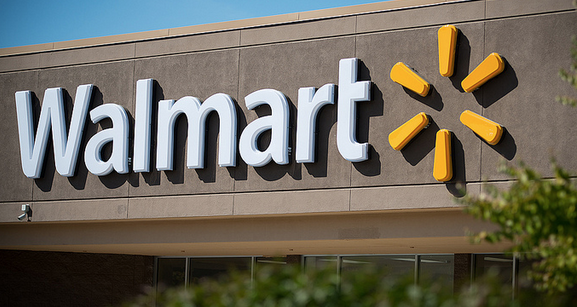 While Walmart’s insurer has completed its investigation, the woman says it’s far from over. In fact, she said her conversation with the insurance rep made it seem as if the company still hadn’t come to a conclusion on why the incident happened. Since the conclusion of the investigation, the woman says an insurer has agreed to pay $140 for a tow charge and a day’s rental fee. But the woman says that’s simply not enough as her costs continue to mount. A rep for the company says he’d need to get approve for compensating her for additional costs. “I just need to get a vehicle. I need for them to reimburse me for the time and money that I’m out of, you know, and just make it right,” the woman says. According to NBC 5 Investigates the company’s insurer is now considering further compensation.